Semantic UI Vue is the Vue integration for Semantic UI. It is highly inspired on Semantic UI React and pretty similar to the original Semantic UI with many of its components but modified for Vue.js projects. If you have used it already, you will find Semantic UI Vue's API to be almost the same. Semantic is a development framework that helps create beautiful, responsive layouts using human-friendly HTML. Semantic UI Vue is still under heavy development.The documentation does not contain all the elements and examples of the original Semantic UI but it is updated regularly. You can use the default Semantic UI stylesheet by including a Semantic UI CDN link in your index.html file. This is the quickest way to get started with Semantic UI Vue. You won't be able to use custom themes with this method. Install the full Semantic UI package. Semantic UI includes Gulp build tools so your project can preserve its own theme changes, allowing you to customise the style variables. 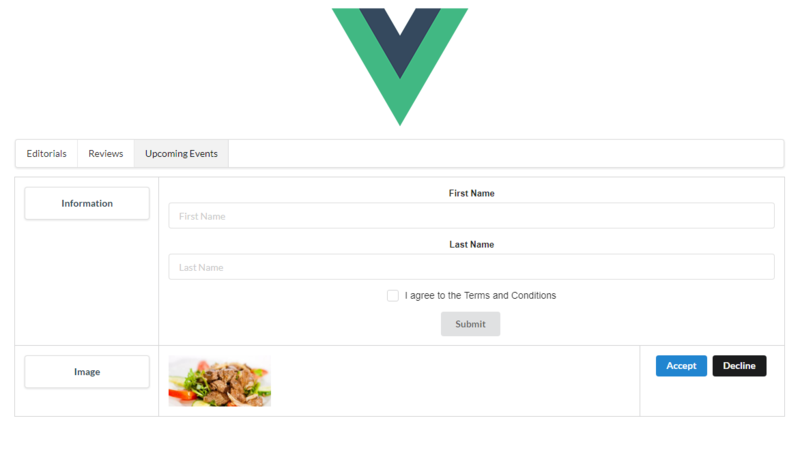 Take a look at the Semantic-Vue Documentation to see what's included. If you want to contribute, have questions or bugs to report join Gitter chat or submit an issue (it doesn't have to be a bug). Read the CONTRIBUTING.md for more details. The repository of Semantic-UI-Vue is located on GitHub under an MIT license. By @mario_lamacchia.